Real Madrid ended their remarkable year on a high in Marrakech as they defeated Argentine outfit San Lorenzo 2-0 to lift the Club World Cup. Goals either side of half time from Sergio Ramos and Gareth Bale ensured a fourth trophy of 2014 for Los Blancos, who also lifted the Champions League, Copa del Rey and European Super Cup. The win in Morocco also ensured the team extended their winning record to a remarkable 22 games in a row – four more than the previous best by a Spanish club. 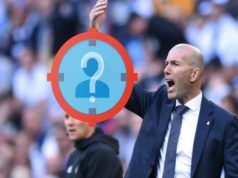 Ancelotti made one change from the side that beat Cruz Azul in the semi-final – James Rodriguez coming in for Asier Illarramendi. Real started the better and could have nicked an early goal but Karim Benzema was unable to poke home after Cristiano Ronaldo had teed him up. The South Americans’ game plan was clearly to break up and frustrate Real, and tempers looked to be reaching boiling point with referee Walter Lopez failing to control affairs. He dished out four yellow cards in the opening 30 minutes. Los Blancos kept on taking the game to San Lorenzo and Ronaldo went close twice with free kicks. The 10-time Champions League winners were rewarded eight minutes before the break when Sergio Ramos – an injury doubt going into the game – headed home from Toni Kroos’ corner. 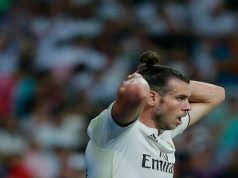 The game was all but over as a contest five minutes after the interval when Bale latched onto Isco’s ball. His effort was too much for Torrico in the San Lorenzo goal to handle and despite his best efforts to keep it out, the ball trickled over the line. The Welshman has scored in three of the four finals that Madrid have won this year now. 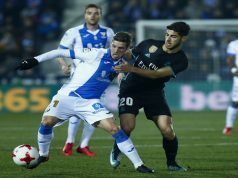 Los Blancos continued to press and could have extended their lead throughout the second half – Benzema and Ronaldo being guilty of missing chances. But Madridistas won’t care about that now as the side secured the Club World Cup and end the year on a high note. I can Fully understand Ronaldo Frustration at not Scoring but remember when all defenses are on him it gives room for others to Play its 100% team effort to Win not about Individuals Real Madrid are a Team who Play the Game of Football in No Other Way but to Win as a team! Hala Madrid 2014 the Worlds Best Team.